Score 100000 points to complete the level. This is finally the last level of salty canyon episode that 81 candies in a board and few timer bombs will appear randomly. 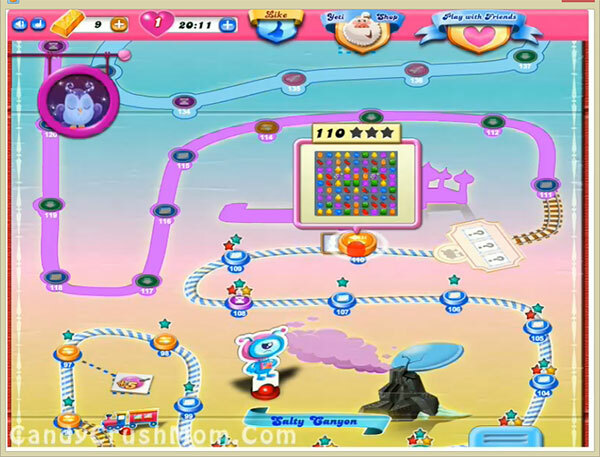 To complete this level you should try to play from bottom of candies board or make special candies as you get chance. Break timer bomb as soon as it appear and try to combine special candies to each other to get some bonus score to reach required score. We completed this level with 109660 score and reach 100000 score by combine and make special candies plus got single colorbomb luckily that help to complete this level easily.